As a means of helping associations truly connect with members, mentoring programs take quite some beating. Both an effective way of developing the next generation of young professionals and of giving experienced individuals a great opportunity to give back to their industry, a good mentoring program offers great value and relevance to all participants. Art of Mentoring is a coaching, mentoring and leadership development consultancy, offering the latest in mentoring best practice. With a vast range of evidence-based programs, expert consultants and world-class resources, Art of Mentoring is perfectly positioned to support the design and implementation of effective mentoring in your association. 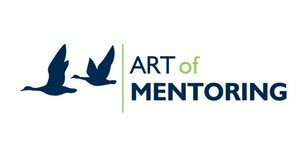 Art of Mentoring is offering free consultation services to Access1st partner associations about the viability of mentoring programs in their associations, as well as a discount for those wishing to set up a program for their members. Full details about the special offer for our association partners can be found behind the Association Professionals log-in.